But when it comes to pruning branches that are not within your reach, you have two options. You can either let the branch grow further or pick up a ladder and start the cutting yourself. Not only is it dangerous to use a ladder but it can be time-consuming as well. Worx WG309 electric pole saw makes your life easier by making this process safer, more efficient and exhausting. Made from the sturdiest materials and with user convenience in mind, this electric pole saw will take your cutting and pruning to the next level. It’s easy to use, has the right power for most trimming jobs, and sports many features that you will rarely find on other pole saws on the market. The WORX WG309 electric pole saw is packed with features, all designed for the convenience of new and expert users. This is a multi-functional pole saw that serves perfectly as a chainsaw when you remove the pole. The pole size is 8 feet so you can easily access even the farthest and highest limbs and branches. Due to the light and compact size of the saw, you will not feel tiring weight on your hands while cutting. Keep in mind that it is hard to cut the branches from bottom up against gravity when the unit is excessively heavy. Depending on user height, the 8-ft pole attachment will never leave the need for you to get on a ladder. After you are done cutting the branches and limbs, you have to chop the fallen pieces into smaller pieces using the saw. For a full day job, attaching and detaching the pole can be tiring, but not with Worx WG 309 that allows tool-less attachment and detachment. If you are a regular pruner, your first priority for such equipment will be longevity and durability. This is why there is this patented auto-tensioning chain system that gives a long life to the chain and bar. WG309 takes over another big challenge i.e. chopping big pieces into smaller ones while constantly making adjustments. With a rotating handle, this work has been made a breeze too. What Sets Worx WG309 Apart From Other Pole Saws? First, it’s the patented auto-tensioning system that keeps you from buying a new pole saw every other month. Secondly, this equipment requires very little maintenance. The automatic oil pump keeps optimum lubrication while the level indicator keeps you informed so you never find yourself operating the equipment dry – this could cause detrimental damage to any pole saw. There is a powerful 8amp motor that makes pruning and trimming jobs of light to medium nature a breeze. Last but not least, any lambing and pruning job require chopping in the end. It’s the tool-less transitioning from pole saw to a regular chainsaw that you’re going to love about this product. No one can ever give you a feedback about any product as honestly as a customer who has used it. Overall, Worx WG309 has received a tremendously positive and commendable feedback from customers. One of the reviewers wished to have purchased the product before because of how convenient he found it for cutting and pruning. This customer used the equipment for cutting down the overgrowing branches of a cherry tree and states that the same job would have been impossible without Worx WG309. The customer also loved how fast he was able to work using this saw as he managed to make 100 cuts within 14 days of using the equipment. Another customer loved the fact that the equipment performed way above his expectations. It required only about 5 minutes for this customer to assemble the equipment and within a few minutes he was shaping up his ironwood tree. This customer particularly loved the power of the equipment as he managed to slice through 5-inch thick branches with buttery smooth movements. This particular reviewer was happy enough with the product to recommend it to others with great pleasure. 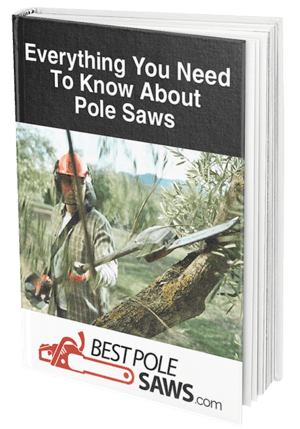 Many customers particularly talked about the weight of the saw at the end of the pole and recommended people to prepare to use their upper body strength as a branch cuts and falls. Any product ranking 3.5 and higher on Amazon is a great product. Worx WG309, on the other hand, ranks at 4.5, which means most customers believe it to be an extraordinarily great product. The price of the pole saw is under $95 and when you compare the value against its price, you will be more than happy to purchase it. It’s an excellent purchase for people who need light and medium duty trimming and pruning jobs to be done at great speeds. Bear in mind that it’s an electric machine and so it will be corded at all times when you are using it. Worx WG309’s powerful 8amp motor provides fast and efficient cutting while its compact size makes it a fit for any user. It offers all the necessary features at a comparatively low price. It successfully manages to make users’ job easier by providing low maintenance operation, automatic lubrication, and tool-less attachment of the pole. With the trust of its buyers behind it, there shouldn’t be any fears of any regrets after purchasing it.